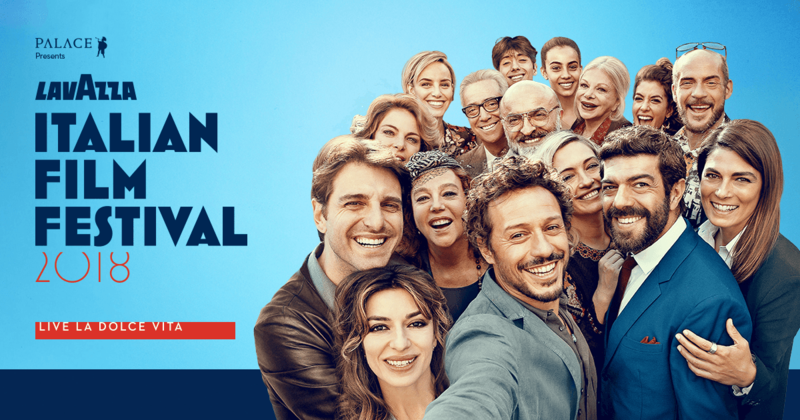 The 19th Lavazza ITALIAN FILM FESTIVAL is looming up like an Alfa Romeo in the rear-view mirror. BMA ran a Q&A with Festival Director Elysia Zeccola to find out about highlights from a collection of over 30 flicks with plots including passion, romance, plus much more. What are the key love stories in this year’s festival? Who doesn’t think of love when they think about Italy? In the romcom My Big Gay Italian Wedding, Antonio and Paolo are living comfortably gay lives in Berlin. One the eve of travelling south to visit his parents, Antonio pops the question, and Paolo, who ecstatically accepts, decides the moment is right to go with Antonio and meet the family. But Antonio is reluctant as he hasn’t come out to his family yet. Love and Bullets is a fun musical comedy about a nurse and a hitman on the run from the mafia, and The Guest is a fresh and modern relationship dramedy which begins in that moment in a relationship where it becomes apparent one person is more in love than the other. What about the bizarre Naples In Veils in which a medical examiner has an affair with a man who later ends up on her slab? Ferzan Ozpetek is a wonderful Turkish-Italian director and his films always have a stunning sense of place and dark rich visuals. He captures a certain mood that is hard to describe. This Naples-set drama unfolds around a woman played by Giovanna Mezzogiorno who has a very passionate affair with a very attractive man, who suddenly disappears, and the film becomes a labyrinthian mystery. Forget about the silly title, this film is hilarious. Fabio Luigi is a scream as a tax official hell bent on catching people avoiding taxes. When his path crosses with a beautiful woman who has just temporarily frozen her Nonna to collect her pension – (just for a little while (!) – a comedy-of-errors ensues. What are the notable prize winners in the festival? Dogman, the winner of Best Actor in Cannes this year, is a powerful and gritty tale about a local bully and his lapdog. Marcello Fonte delivers a Cannes-winning performance as a gentle man, the local dog groomer who is, nevertheless, a coke dealer. He has bitten off more than he can chew with a volatile local bully who becomes increasingly aggressive, but unlike the dogs he works with, he is unable to tame. In Happy as Lazzaro Rohwacher casts a spell in her highly anticipated new drama; also a Cannes-winning film. Nastro d’argento award-winner Made in Italy is the new film by Ligabue, a must-see for lovers of Italian film and music. Euphoria, from the Un Certain Regard section of this year’s Cannes, is Valeria Golino’s new film starring Riccardo Scamarcio. It sees Valerio Mastrandrea, reinforcing her talent as a director. Finally, multi award-winning, star-studded family melodrama There’s No Place Like Home is Gabriele Muccino’s new film. I see the mafia is back in Boys Cry? This a striking debut from twin brothers, officially selected for Berlin. It follows two boys on the outskirts of Rome who try to ingratiate themselves with the local mafia and are pulled into a tangled web of crime and deceit. What can punters expect at the opening night special event on September 12? Patrons can expect an Italian journey, from the prosecco and Lavazza popcorn on arrival through to the masterful film, followed by the afterparty including a gift bag. It’s a great night out!